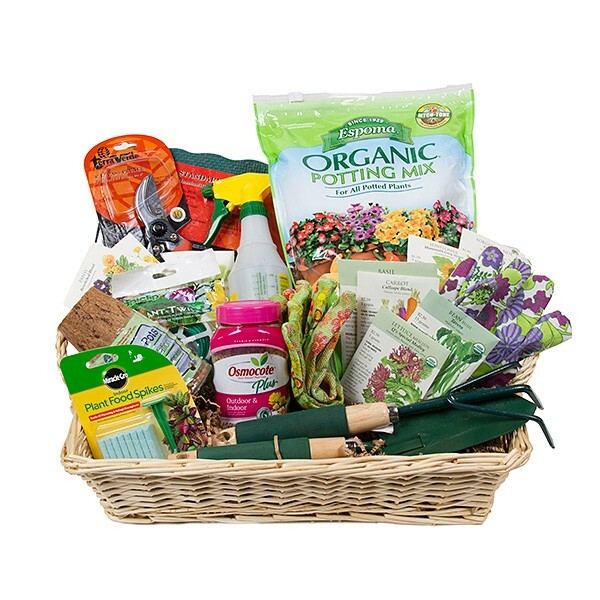 This specially arranged gift basket is very gardener friendly! 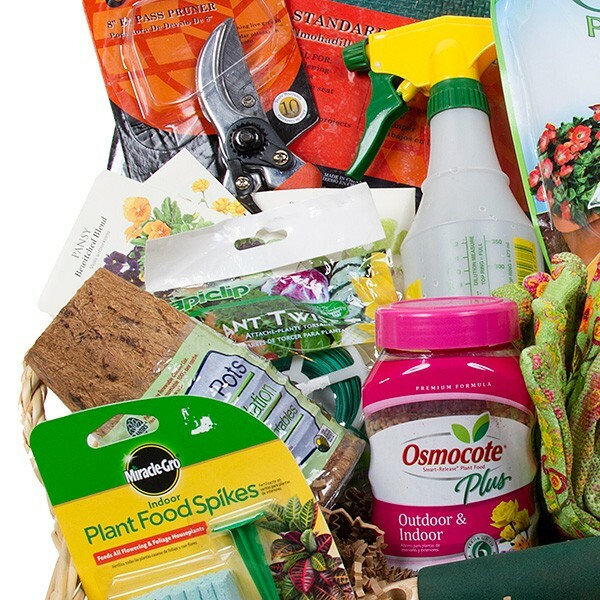 It includes all things needed for the "green-thumbed" beginner like plant food, a variety of seeds, a garden mat, potting mix, gloves and other tools. 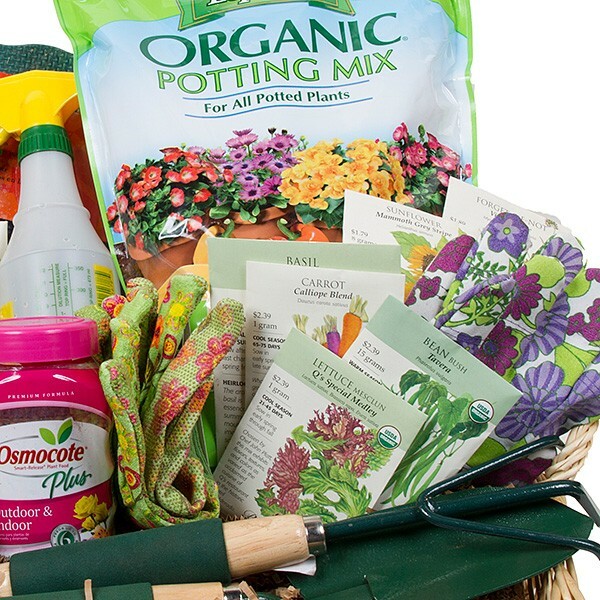 Perfect for anyone trying to begin gardening, or for someone who needs the essentials. A Plant Shed exclusive. Delivery in Manhattan only. Gardener's Bliss is delivered to the recipient gift wrapped in cellophane and a raffia ribbon.Click the drop down menu for additional sizes. Available for delivery in NYC only. We deliver plants and flowers in Manhattan, 7 days a week.